Grab your camera! This short walk leads to one of the most photographed meanders of the Colorado River. Note: There are no railings at the viewpoint, and it’s a 1,000-foot drop to the river below. Use caution while walking near the edge. The trail starts to the right of the information panel and climbs to the top of a sandy knoll. From here, you can see the rest of the path ahead of you. Follow the gentle slope down the far side of the hill all the way to the rim of the cliffs. Near 0.2 mile you pass a shade structure on the right (the only shade on the whole hike), and beyond that the trail crosses alternating patches of slickrock and sand dunes out to the unfenced overlook. When you reach the end of the trail, walk along the rim’s slanted slabs of Navajo Sandstone for different vantage points of Horseshoe Bend. 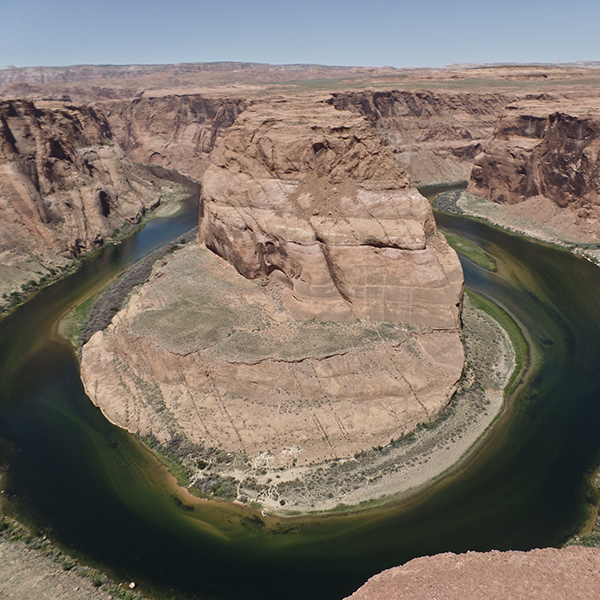 The Colorado River makes a 270-degree symmetrical curve in what’s called an entrenched meander. You’ll need a wide-angle lens to capture the whole scene in frame! Beyond the emerald green waters of the Colorado, and the orange cliffs that make up the bend, you can see the Vermilion Cliffs and the Paria Plateau on the western horizon, the Navajo Reservation to the south and east, and the outskirts of Page to the north. Expect to share the view with dozens of other people. Horseshoe Bend is a popular stop for tour buses, as well as independent travelers. Return the way you came. 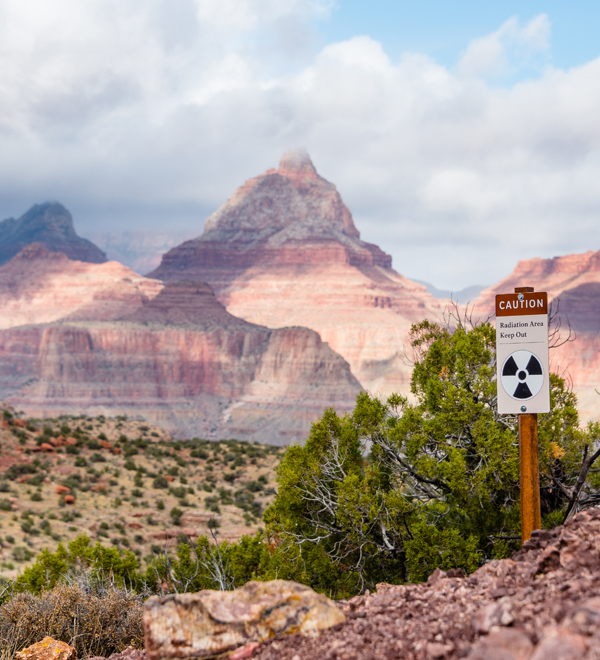 From the Carl Hayden Visitor Center in Page, Arizona, drive five miles south on Hwy 89. Look for an exit lane and dirt road on the right (west) side of the road between mile markers 545 and 544. Turn right, and drive a short distance to the parking area.